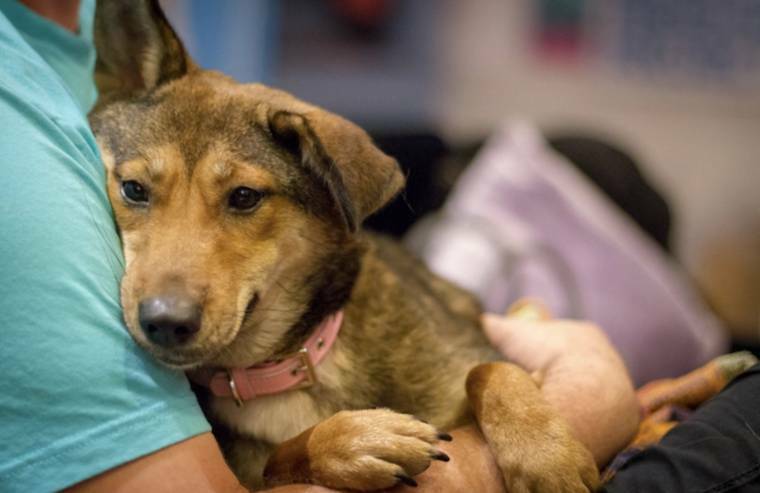 Paula was rescued from a restaurant in the Sichuan Province of China. She was bred to be beaten and eaten. She had to watch other dogs be beaten and killed in front of her. Let that sink in. No further descriptions are necessary, you can imagine the horror she witnessed. There is one in every rescue group. The dog that saw, heard, and physically felt too much. That special soul with a gentle psyche, so beautifully innocent and so very fragile. That one survivor in the group who is not enthusiastically bewildered by the exciting new concept of freedom, but instead shell-shocked and dazed. We remember their faces, like that of Abe, Raymond, and Lucia. On January 11th 2018, that dog was Paula. She is a Shepherd-Beagle mix and is only a year old. Ordinarily such a dog would be a goofy ball of boundless energy, but Paula was no ordinary dog. 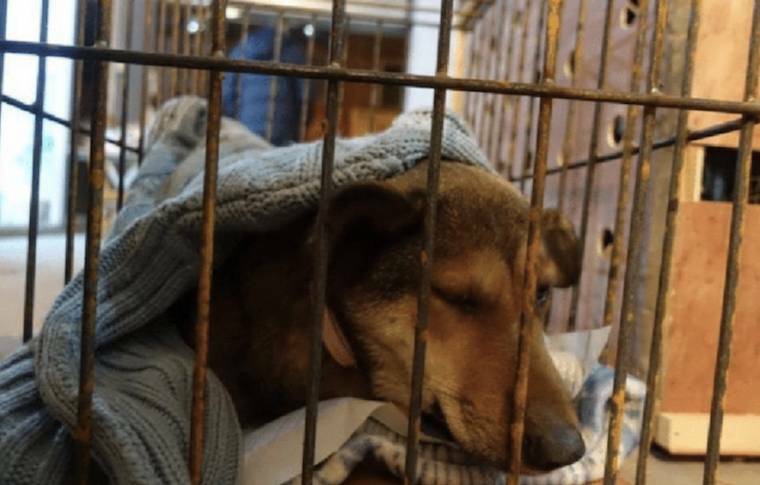 Paula was rescued from a restaurant in the Sichuan Province of China. She was bred to be beaten and eaten. She had to watch other dogs be beaten and killed in front of her. Let that sink in. No further descriptions are necessary, you can imagine the horror she witnessed. When Paula landed in the US with the Beijing Beagles and her crate door was opened for the first time, she saw only a sea of human faces staring back at her, and Paula understandably recoiled to the back of her hiding spot. A hiding spot remains the only place she truly feels at ease and it may be that way for some time to come. Getting past the trauma that is debilitating her recovery, is going to be a hard battle for this little girl. Rebuilding her confidence and any trust in our species is going to take a lot of courage from her. We believe she has it though, and with enough love Paula will finally find peace. The foster family that has taken on this delicate challenge is giving her their all. 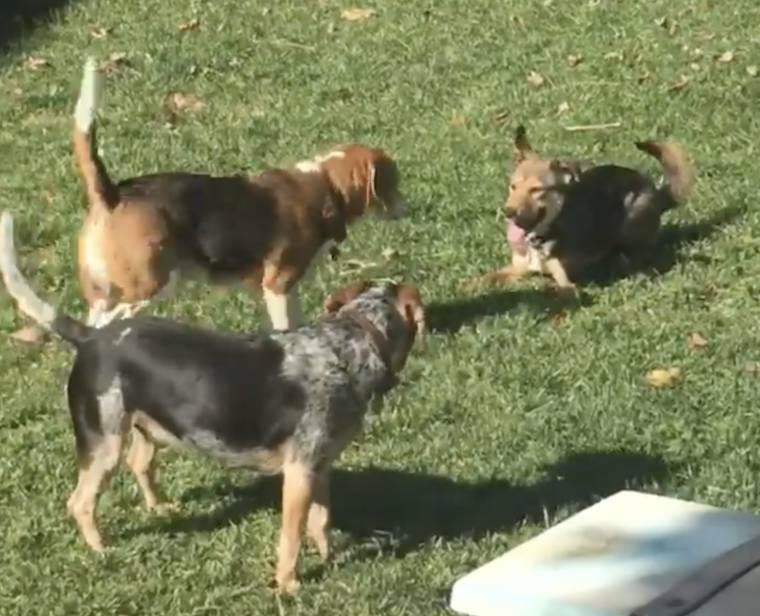 The whole human and canine family has rallied around this petrified pup, including Mini a senior blind beagle from a laboratory that came to the U.S. with Paula. Space, soothing voices, and a fort made out of blankets and pillows are currently giving her comfort. In the two weeks Paula has been free she has made some small improvements. They are baby steps, but each inch of progress counts. Her foster mom, Sara, has reported that they have been able to coax her outside where she has enjoyed the sumptuous sunshine of Southern California, albeit hidden in some bushes, but a new comfort she had not previously known. Paula watches her family and their every move. According to Sara there is always at least 10 feet between her and any human, but they are achieving some breakthroughs. When she is in her “fort” she will allow you to gently caress her. Paula even ate some food out of Sara’s hand. She has cautiously approached the doggy toys showing some interest, but unsure what to do with them. The biggest moment thus far has been finally playing with the other dogs in the backyard, chasing and being chased. While a normal activity for any other dog, it has been a cause for celebration for Paula. We are excited to continue to watch her recovery. There are few things more beautiful in life than watching a broken spirit be healed. She is safe and she will recover, it may take longer than we want, but it will happen. If Paula’s story moves you and you want to help consider these two actions. 2. Support our work. As rewarding as Paula’s rescue has been, it was also not free… or cheap. If you say you want to see more dogs like Paula getting the life they so richly deserve, than you need to put your money where your mouth is. The Beagle Freedom Project is a non-profit and can only do this work if you support it. That is a fact. The more support, the more animals rescued.